CPG Aeronautics.... » Latest Artemis missions May 23rd launches. Latest Artemis missions May 23rd launches. The month of May was a busy one for project Artemis! A total of twelve missions. We wrapped up our missions for the month of May on the 23rd with four flights. The first mission of the day was ALS0013, the first flight of the official ArtemisV payload aerocraft on booster #3. Performance was perfect. 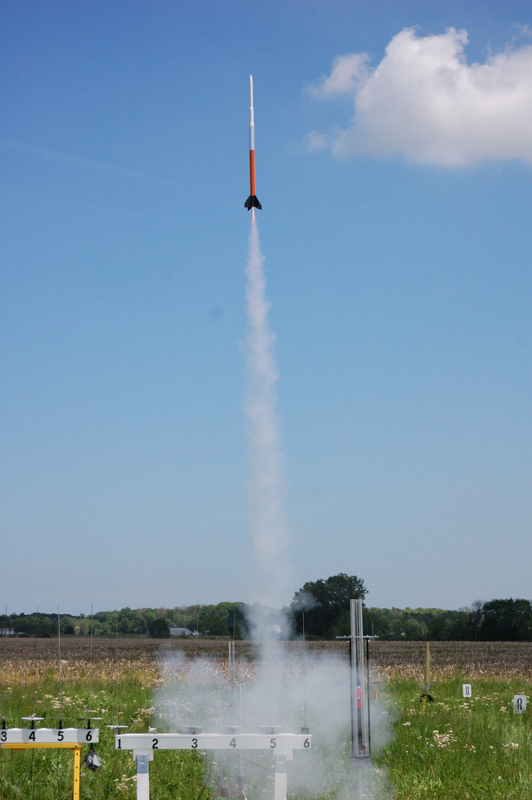 The second mission, ALS0014, was the return flight of Artemis booster #1 (Big Red). We flew the Artemis 1E payload section, and the return to the air flight was absolutely picture perfect. Mission #3 (ALS0015), another flight of booster #3. This one turned into a nail biter! 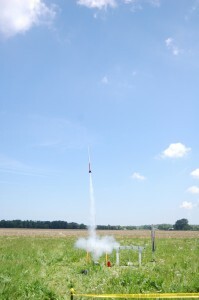 After a picture perfect launch, we experienced a shock cord failure causing separation of the booster from the parachute. The booster section free-fell from 850 feet. 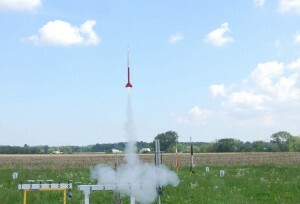 The landing happened to be in a water logged section of the field, so the booster was fine. 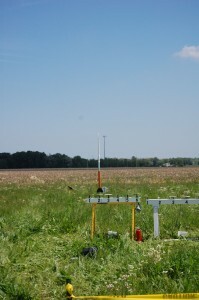 The 1E payload was recovered a ways away in perfect condition (it came down extra slow on the parachute). Mission #4 (ALS0016) was not a scheduled mission, but one we could not pass up. The first flight to break the 1,000 foot celing. 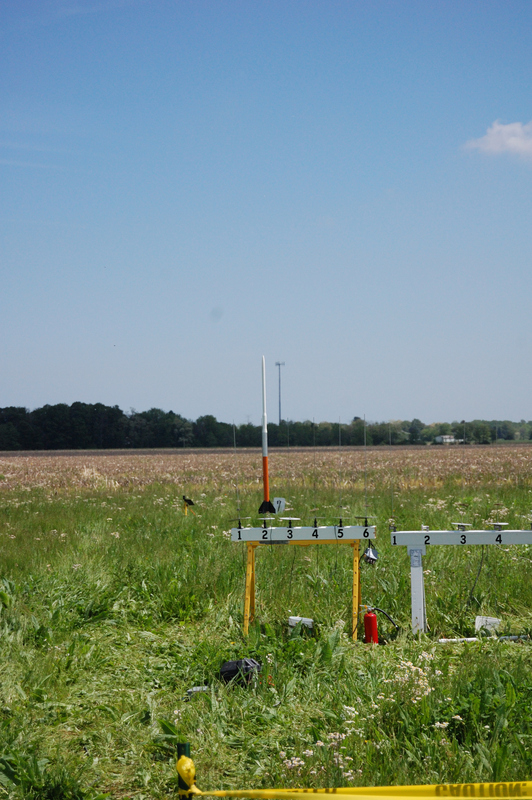 Artemis booster #3 was quickly repaired, and put to the task of this feat. 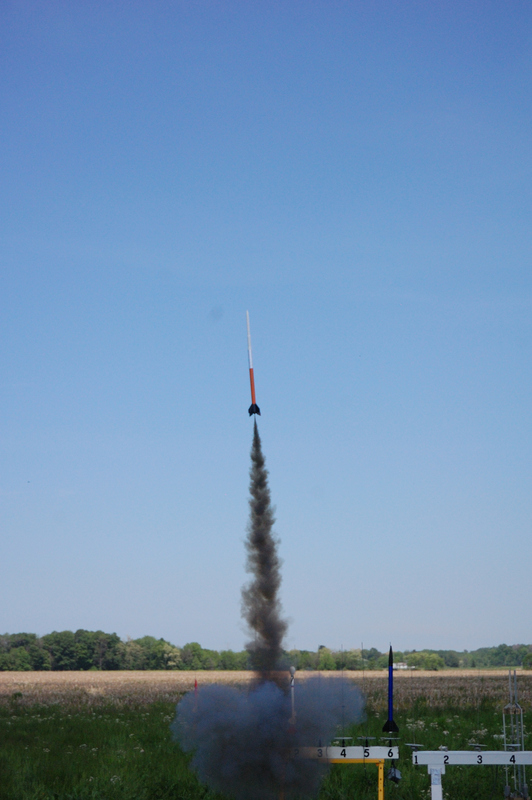 We loaded an Aerotech F12 black jack composite motor, and sent her off to over 1700 feet. Flight was spectacular, and was a great conclusion to the missions in the month of May. 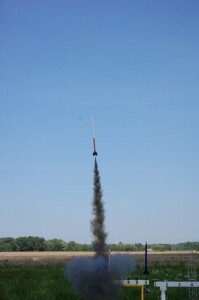 Artemis booster #3 closing on a spectacular note with a high altitude launch on an Aerotech F12 black jack motor! The next scheduled missions are set for June 12. More info to come!